Tech it Easy is the program dedicated to those who cannot imagine their own life without technology and innovation. 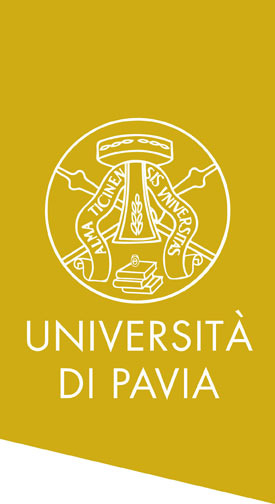 On-air every Tuesday at 1pm on the University of Pavia web radio UCampus. 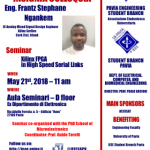 The program is presented by Andrea and Stefano, two PhDs from IEEE Unipv Student Branch. Thirty minutes per week to talk about the world of technology in a simple way, accessible to everyone. Tech it Easy is melting pot of amazing curiosities taken from each corner of modern science: here you can find a brief recap of every single episode with many useful web and video links: stay tuned! 14/03/04 Sport versus technology, the final match! Technology and sports walk together day by day. Tennis judges can benefit from hawk-eye and if you think you have lost your golf ball, an RFID tag will help you to get it back! Engineers developed the Flex-Foot Cheetah, ultra-hi-tech prothesis for disabled sportsmen. What about MotoGP and F1? The researches applied nowadays in motors competitions will help future's drivers. Radargolf, no more lost balls [Web]. The "full-italian" Engine Control Unit [Web]. A new industrial revolution has come thanks to the low-cost and fully-accessible electronic devices. Few dollars are enough to provide thousands of books and hundreds of PCs among boys and girls in developing countries. Arduino starts the make-your-own-robot fever thanks to an easy programming language and to very low-cost reasons. 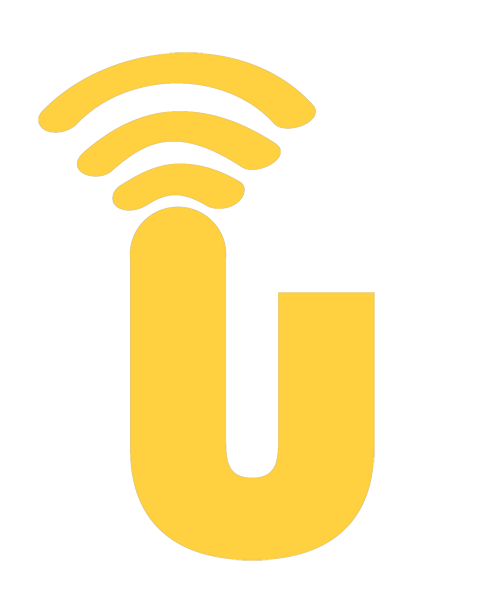 NFC represents an easy and cheap wireless communication standard for quick data transfer. In the end, welcome to the 3D printers: undoubtedly the makers' paradise! The Kano! project [Web]. NFC tags, ready to use [Web]. Today in Tech It Easy four examples of unimaginable hi-tech laboratories. The LNGS in Italy located under 1400m of rock to study cosmic radiations by means of thousands of sensors. After 3 yrs of hibernation, the Rosetta space probe wakes up and it is ready to study an asteroid through its marvelous lab on-board. Last trending topic in biochemical analysis is the Lab-On-A-Chip: one cm squared circuit to verify the presence of viruses, molecules and proteins from a single drop of blood. Last but not least, the largest observatory in the world called ALMA, set at an altitude of 5400m in Chile and composed bya reconfigurable 66-antenna-system to study deep space mysteries. The italian LNGS lab [Video]. Rosetta space probe [Video]. The Lab-on-a-Chip techs [Web]. Atacama observatory in Chile [Web]. 14/01/14 What's new at CES2014 in Las Vegas? The Consumer Electronic Show is held every year in Las Vegas (USA). CES is the most important show focused on electronics for everyday life. An outstanding exhibition where the biggest companies from all over the world show their tech-jewels. The trending topics embrace the 4K super high-definition video standard, the most recent silicon processing unit for TV, smartphone and automotive and the innovative ROBOTs for intelligent home care. CES2014 [Web]. The revolutionary 4K definition standard [Web]. NVIDIA Tegra K1 [Web]. Lifetime ROBOTs [Web]. 13/12/10 Recycling and cleaning will be keywords in the future! Every day several tons of junk are produced. Plastic is so polluting that an island made of bottles is sailing across the pacific ocean. On the other hand, smart recycling processes and bio-compatible materials could be involved. In addition, the ReUSE substrate for electronics stuffs is proposed and the 90% of a PC could be... reused! How's the situation out of the Earth? NASA is mapping junks and found 500 thousands of dangerous pieces of space garbage as big as a "baseball ball". Onion Ditch Bridge, Ohio (USA) [Web]. ReUSE, by NPL [Web]. NASA orbital debris program [Web]. 13/11/26 Science and travelling: sea, air or earth? 13/11/12 Long live the wireless King! 13/11/05 Are web apps the future of mobile phones? Every tuesday at 1 pm on Ucampus Pavia. Otherwise, on tuesday at 7 and 9 pm, on wednesday at 11 am and on friday at 1 pm.